Billy Goulding acquired a virus at the age of 2yrs old that left Billy paralised from the chin down. 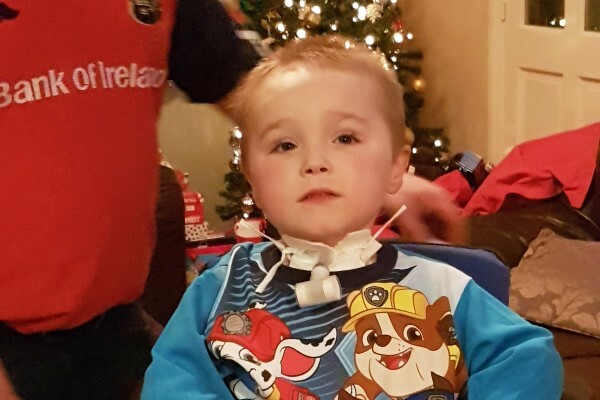 We are now two years in and we see little but affective movement Billy has potential and is a little fighter but it's a long and slow road for us all,The National Rehabilitation of Ireland have recently told us they can't facilitate Billy, because he is on a breathing machine at night and he also has a tracheostomy tube to help him breathe. They want us to travel to North London for rehabilitation and this will be very hard financially on our family. We have been over to Stoke Mandeville for one week assessment where we got on great. This is the place for Billy for him to get the best chance of recovery . 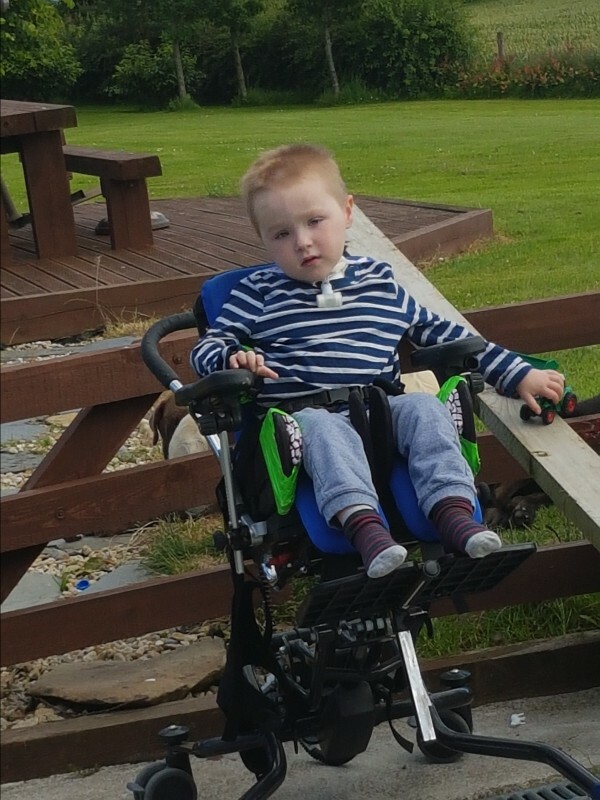 Billys condition is one in every million so the resources are just not available in Ireland. Please visit Billys recovery story on FB. Currently we have to pay privately for physio, and Billy works really hard to do what he can. We need to get Billy to a place where he has a quality of life for himself. For us even for one hand to work would be our lotto for our little man. This is not going to happen in Ireland. We have a long journey ahead of us so please help us on Billys journey to get this little man where he should be. I'd like to thank you from the bottom of my heart for any donation given by you to help little Billy on his recovery journey. Check out the possibility he was receiving pharmaceuticals, or had a vaccination just before this occurred. Yes, we've been there. My husband was hemiplegic, but has recovered much of his function. If you message me on FB, I can tell you some of the things we did to help. Also, detox may help. Please do contact me. I can't afford to donate, but I can share my knowledge. Best wishes to Billy & family. Best wishes to Billy. Our thoughts are with you. Dear Eileen and family. You are all in our thoughts. We hope your wonderful baby boy gets well soon. Our hopes and wishes are with you Noreen (Hennessy) & my family Matt & Shauna Barcon.